I’ve known you for a long time now, firstly through your ‘Tales from the Towpath’ blog and then through having a few fishing trips together, your original blog is seemingly no more and you have new one called ‘Russell Hilton Fishing Blog’, it’s a very nice looking blog but I have to ask why, when you had so much great content in the first one? Blogger is a very frustrating platform as once you start posting it is very difficult to change how your blog looks without reformatting the whole thing. I wanted to redesign mine and the only way to do that was by starting again. As it happens I’d stopped blogging entirely for a year anyway so I thought it just as well to start over. Regrettably, I’m struggling to find the time to fish, let alone blog, at the moment so once again it’s on the backburner. When I started the first one I had plenty of spare time to update it and, for me, blogging is the sort of thing you need to go at wholeheartedly or you might as well not bother. I have some nice ideas for what I want to do, so it is frustrating that I can’t find the time. Ok, fair enough, right let’s find out a bit more about you? When did you start fishing and what was your first fish? I think I was about 4 when I had my first fish; a bleak from the Lee Navigation. I can’t remember ever not fishing to be honest. I was club match fishing by age 8 or 9, and every other weekend until age 16, I fished matches. My family moved from London to Devon when I was 16 and I’ve hardly fished matches since. I now prefer to choose when and where I go, although the way I fish is heavily influenced by my match fishing background. This changes so often and is rarely the thing I did most recently, even if I had a really successful session. I get bored too easily and like to explore new species and methods. 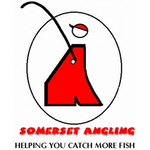 I do think that anglers are far too hasty to deride particular styles of angling as inferior or requiring less skill but the principles of fishing are the same no matter what style you adopt. You still have to assess conditions and tailor your presentation, bait/feeding and location to suit. At the moment I am really interested in specialist style fishing and ledger rigs. 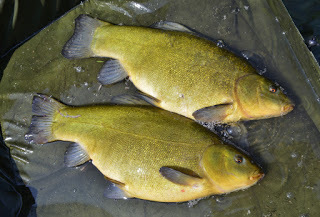 I had my first bream on a helicopter rig the other day and the bite was very exciting; I was using bobbins and a bite alarm and the bite was much slower than the fast runs I’d had from tench and carp previously so I knew it was the target fish before I even picked up the rod. 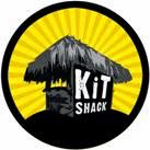 My main ethos now is to keep kit to an absolute minimum. As a former matchman, this has taken some getting used to but my results are much better now. I caught my PB perch after a swim move. I was sat on the towpath, poking a lob tail under a far bank tree using a pole. I wouldn’t have caught that fish if I’d taken the luggage that I used to. I had to walk a mile to catch it. Again, it changes, but if it’s weedy, wild and clear, I’m there. I haven’t fished it much recently but it’s hard to beat hooking a big fish on the pole, in 12ft of clear water, on the Exeter Canal. The Exeter Canal is probably a bit too tough to be my favourite though. It’d probably be the Tiverton Canal. This will surprise you but it’s probably carp. Mass stocking has completely devalued their capture but on the venues I fish they are still mythical beasts. 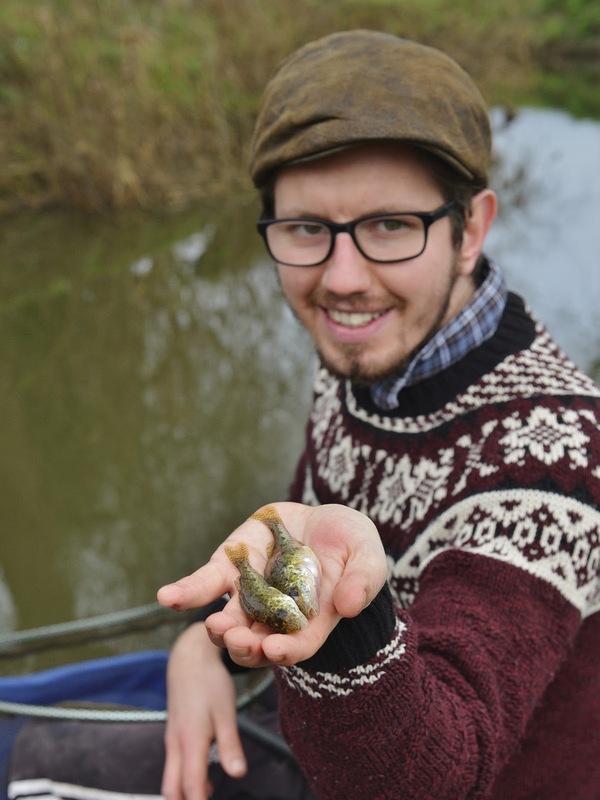 I saw a high double swim past whilst bream fishing on the Huntspill last year and it was incredibly exciting. You have an impressive list of personal bests to your name, any favourites among them that stand out? And which fish would you dearly love to add to that list? 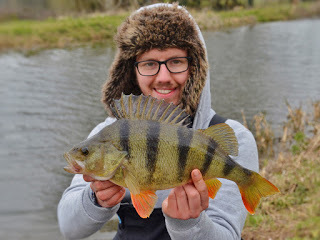 Most of my overall PBs are canal fish so it is all relative but it took me a long time to catch a 3lb perch. I finally broke that with a fish of 3lb 7.5oz last year. I’m probably most proud of my silver bream PB, and I’ve had two of those at 2lb 4oz. That is a huge silver bream, and the largest I can find recorded anywhere outside of the current UK record venue, Mill Farm in Sussex. It was “by design” too; caught from the local cut on a waggler fished tare. They are not taken seriously and many anglers misidentify them, but they are one of the 3 most common species found in natural waters in Somerset, I only encounter rudd and roach more frequently. To give you some idea, I have caught them in their dozens from the Parrett, Tone, Stathe Drain, Durleigh Reservoir, Huntspill, Taunton Canal, Emerald Pool and lots of other places. A pound silver is a good one, and to catch one closer to 2lb than one from a natural venue is like finding a near 3lb roach! Anglers should take more notice of them as they don’t feed like bream. 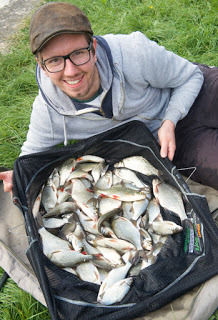 I have had thirty pound bags of silvers from several waters on the levels and the best approach is to try and take them as the bait falls through the water. Targets: I make them but never really pursue them with any commitment. I’d love a 7lb canal tench and to nudge my river and canal PBs for pike and carp much higher than they currently sit. My first 5lb chub is a winter target. You’ve tried your hand at most types of angling and I even seem to recall you’ve fished a few matches and done well, any plans to do more competitions? Not really. To be honest, I’ve whittled my kit down so far that I wouldn’t feel like I’d be able to compete to the best of my ability. The craic at matches is the best draw, but you will always have a better days fishing if you go just yourself or a couple of mates at the more productive times of day. That’s not to say I don’t miss it. I used to compete regularly, but I’m an all or nothing match angler and a pretty sore loser, so I prefer to take it much easier these days. The Christmas matches have attracted me in recent years for the fun, venue choices and size of entry. 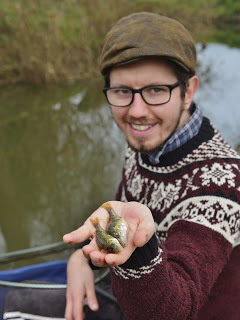 I have some great memories of match fishing when I lived in London, and I will hopefully find time to write about those experiences before they slip entirely from my memory. 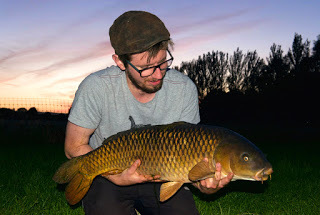 As you know, I’m really passionate about my blog and would love to be able to reach a point where I could do it full time but I think angling is a long way behind beauty, food and travel blogs where some of the top bloggers make a lot of money and they have their own awards ceremonies etc. I’ve seen some brilliant blogs like Jeff Hatt’s ‘Idler’s Quest’ fall by the wayside because it is a lot of effort for very little return, what are your thoughts? It is a lot of effort! Personally my lack of fishing routine makes it hard for me to keep it going. 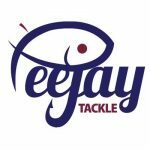 I think the blog style is very well suited to match anglers as the posting and format of posts is consistent. I struggle to see how fishing blogs can generate any income to be honest. The odd free bag of groundbait is probably about as much as any of us can hope for. The quality and quantity of Jeff’s content was incredible; he writes in a languid, conversational style which gives you the impression that it just comes naturally to him. I always had to remind myself not to compare myself to Idler’s Quest. It has to be fun for the writer, otherwise it comes across as forced and can be difficult to read. In fact, some of the best reads are full of grammatical errors but the authors’ personality in their writing far outweighs those mistakes. I think YouTube advertising is the only realistic way to make a few bob from fishing blogging, backed up by pretty persistent plugging of your own material on social media. For me, it is not just about the hit numbers though. When I get back blogging again, my real aim is to generate some decent threads and conversations from my posts. Facebook just doesn’t provide this and most of the posts and debates on there are shallower than the margins of Chard Reservoir. Still on the subject of blogs, which ones are on your reading list? I have made friends with a lot of the bloggers I read. Idlers Quest was my favourite and has left an enormous hole which I think is impacting on popularity of other blogs as IQ drew a big audience who then gravitated to other blogs such as mine or yours, through the sidebars and widgets. The ones I tend to read first and read every word of are the match blogs on natural venues as they tend to be the most insightful. Obviously, Against Men and Fish, Tim Ford and Ivan Currie feature prominently in this regard. I really enjoy nostalgia too, and I’d love to see blogs like your own and Lee Williams’ delve into the memory bank from time to time (Against Men and Fish – I have been toying with this idea so watch this space!). The great thing about blogs is you can follow some quite unusual campaigns as they unfold. The sort of stuff that would never make it into mags (which is probably why I don’t pick them up anymore) is often the most gritty, relevant and exciting read. 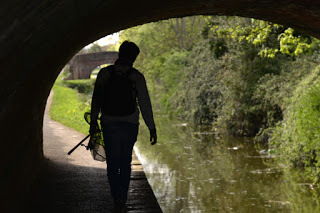 George Burton writes a fantastic blog which uses some really unexpected and creative language (his description of battling a huge canal eel is fantastic http://floatflightflannel.blogspot.co.uk/2015/09/the-thick-mists-of-shocking-time.html?m=1 ). 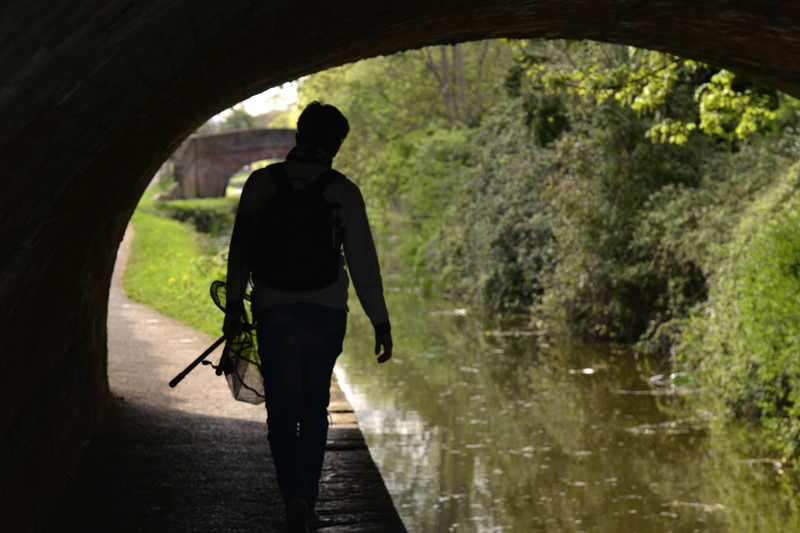 He fishes for 2lb roach in dirty midland canals, and his methods and successes perfectly demonstrate why some anglers should take their heads out of their arses occasionally and salute those who are genuinely innovative and not just assume that fishing like a matchman or a carper makes you a superior angler. Many will scoff at his crude, but thoroughly studied, approach, yet the results speak for themselves. Only blogs can really deliver this sort of unique, non-sponsored, thinking. I’ve really enjoyed the trips we’ve done together even though on our first piking trip I blanked and mullet fishing on the Exe was nearly as bad, the last trip was brilliant, despite the awful weather, and I caught new personal best perch and pike so when are you going help me catch a flounder and a big rudd? Sneaky! I’m not really your best bet for a flounder but I could certainly do a sunny evening in July for a rudd. To be honest rudd are about the easiest fish to catch, and can rarely resist a big piece of bread. The best tip I can offer is to use a big hook and bait to avoid the smaller mouths. I use a size 6! A 21lb 2oz carp I caught off the top recently. I’d like to beat it from a natural venue. I’ve only been abroad once, aged 7, to Disneyland. The closest I got to catching a fish was watching my dad scoop up a passing puffer fish in a small bucket. I do enjoy a curry, but will invariably order the fish in a restaurant. Not much of a film buff, does Go Fishing count? Any crude or coarse-humoured sitcom like Peep Show or Inbetweeners is right up my street. I also like a decent crime drama, although I struggle to commit to anything nowadays and only really dip into TV now and again. Quite a mix; The Smiths, Placebo, Kate Bush, MGMT, Oasis, Sia, Travis. I would say “etcetera” but there’s not much of a pattern there really! Anything catchy with a bit of bite, so lyrics are important. Do you have any other interests/hobbies outside of angling? Cricket, which takes a lot of my time away from fishing in the summer. I stopped playing for a couple of summers but started again last year. I’m still very rusty so probably need to spend a few less evenings down the canal and a few more in the nets! Otherwise, fishing and all the other activities associated with it like writing, organising and photography keep me interested and busy enough to not really have time to squeeze in anything else.